According to the comments, many are wondering (most are shocked) on why would the abs-cbn decided to end up a show that is on a head-on rating against its counterpart shows. So why would really Sarah and the management decided to cut the show too early ? ABS-CBN's Head of Integrated Communication Bong Osorio said on an interview that Sarah would become more busy with other more projectd within abs-cbn network. She has been scheduled to be on of the judges to the upcoming franchised singing contest "The Voice of the Philippines" which will be hosted by Toni Gonzaga. Aside from this, Sarah is currently filming the movie "It Takes a Man and a Woman", together with John Lloyd Cruz. The pop star who just recently renewed her contract with abs-cbn will become more busy with other commitments that's why they decided to cut early her weekly show. Reports even said that her own drama anthology is under works by abs-cbn management which will launch within this year. Reports said that while she is quitting her ranking show, she is but happy as she sees this as a career development and she also wants to explore her talent as an actress. 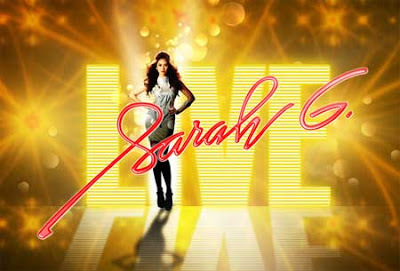 Catch Sarah G Live's last show will be on February 10, 2013 at 8:30 p.m., right after Rated K.